Highly desired West Point Grey! Situated in a quiet, private and central location, this 1 storey, 50x122' (6100 SF) property, has a full basement that has been partially finished. Main floor consists of 2 bedrooms, kitchen, and cross hall living and dining room. Renovate or build your dream home with potential for mountain views from an upper floor. Built in 1928, RS 1 zoning can potentially build a max of 4,270 SF home on this relatively level lot. Excellent location within walking distance to Lord Byng Secondary, Jules Quesnel, Queen Elizabeth Elementary, West Point Grey Academy & 10th Avenue shops. 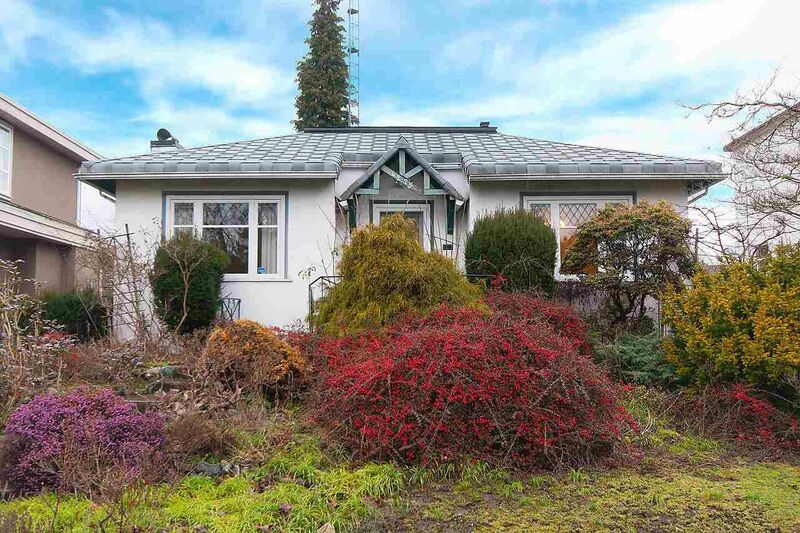 Close proximity to Pacific Spirit Park, UBC, Jericho Beach and St. George's school. SF and dimensions approx, buyer to verify if deemed important.